I loved this book. It was a quick read with amazing characters. This book delivered the same feels as It’s War by K. Webster. I absolutely loved that book even though I never finished the series. Anyway…Torin. 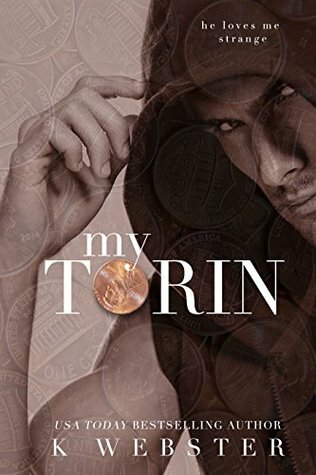 So when I’m not reading about my beloved bad boys, I go in search of book boys like Torin. Torin was a handful. He was hilariously heartbreaking. On one hand it pained me to watch him struggle with simple tasks and on the other hand I cried laughing at some of his actions. The emotional juxtaposition made me fall head over heels for Torin. MY Torin. He became so real to me. I needed his happiness like it was my own. So when Casey Casey came into play, I was ecstatic. She was just what he needed, even if it took her a while to realize it. I enjoyed going on this journey with them. It was filled with swoon worthy, hawt, and heartbreaking moments. It was so freaking phenomenal and I will never look at pennies the same.